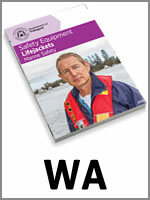 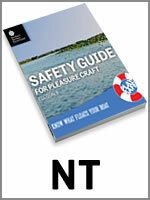 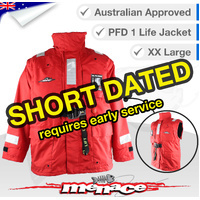 This All Weather Auto-Inflate Life Jacket is Australian Standards AS4758.1 Approved. 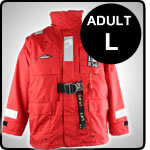 A feature-packed all-weather jacket that has all the bells and whistles you need in a high-quality life jacket. This jacket is comfortable to wear and will automatically inflate when submerged in water. It has been designed to ensure a high level of comfort and practicality while not compromising on any of its many safety features. Note: The jacket will feel larger than a standard rain jacket when fitting. 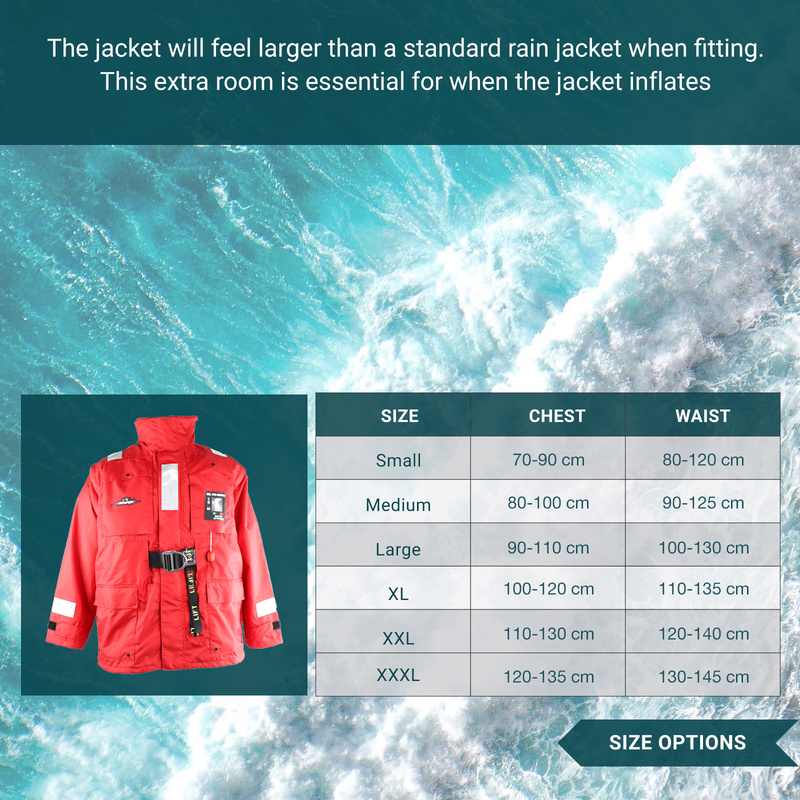 This extra room is essential for when the jacket inflates. 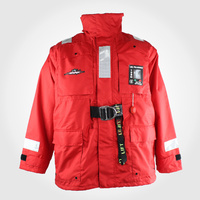 Unlike other jackets on the market, we have developed a unique release flap on the back that prevents the jacket from restricting your breathing when inflated. 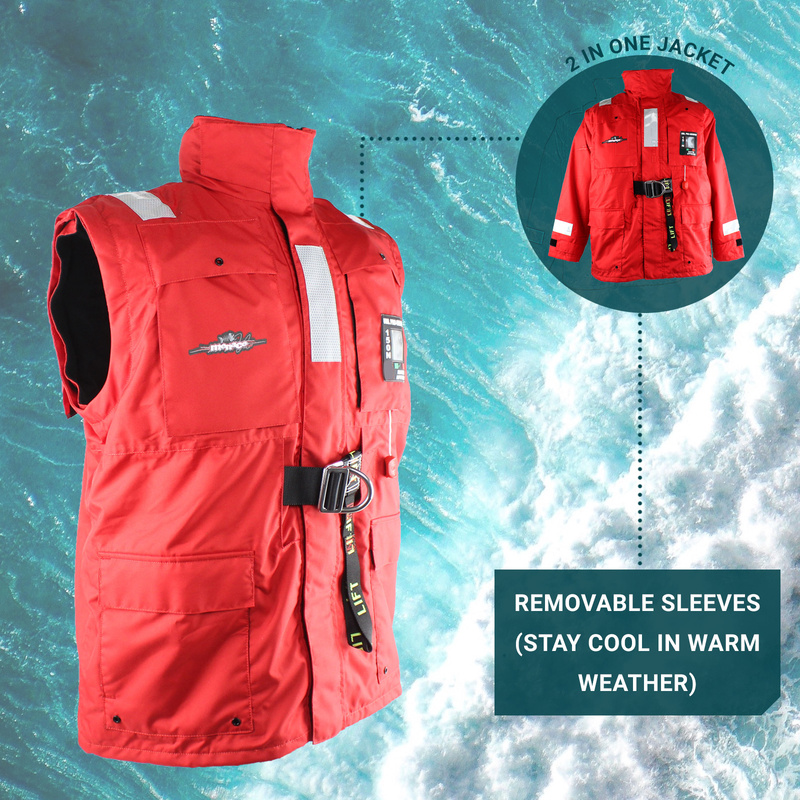 The Jacket as a whole has a nylon outer shell and a polyester inner lining that provides great warmth and water protection in all weather conditions. 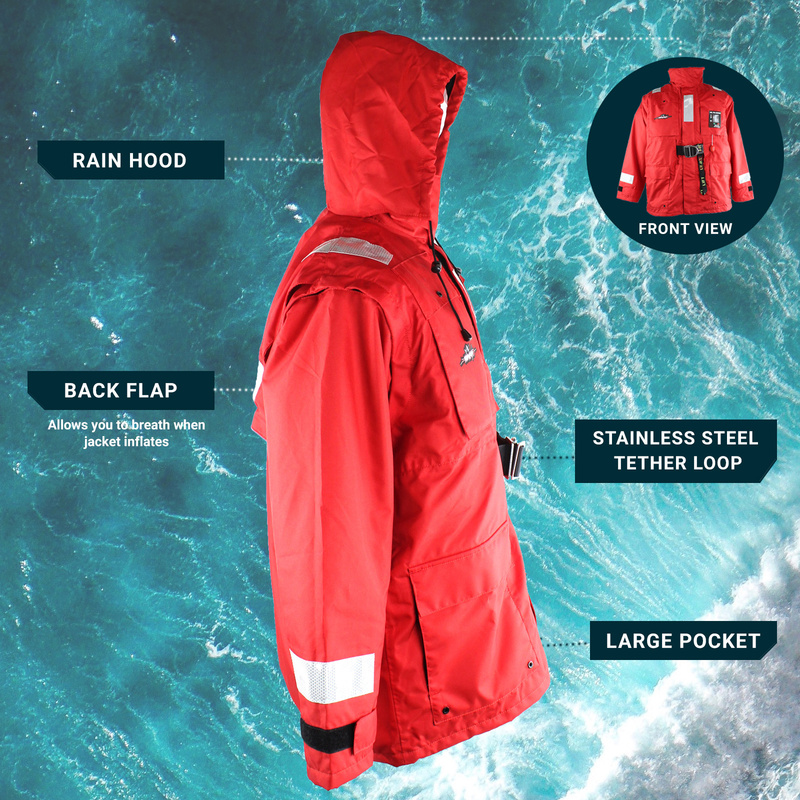 All the features you need, like a rain hood that tucks away into the collar, removable sleeves for warm weather use, loads of pockets and even a stainless steel tether loop for securing yourself. 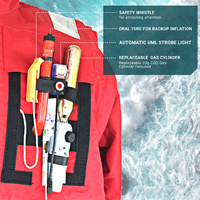 This personal floatation device is great for extreme weather conditions and perfect for fishermen and boaties. 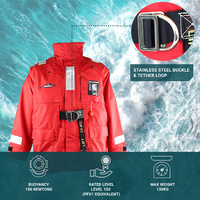 The jacket has an automatic inflation system built-in that uses the CO² cylinder to inflate the jacket when it is submerged in water. 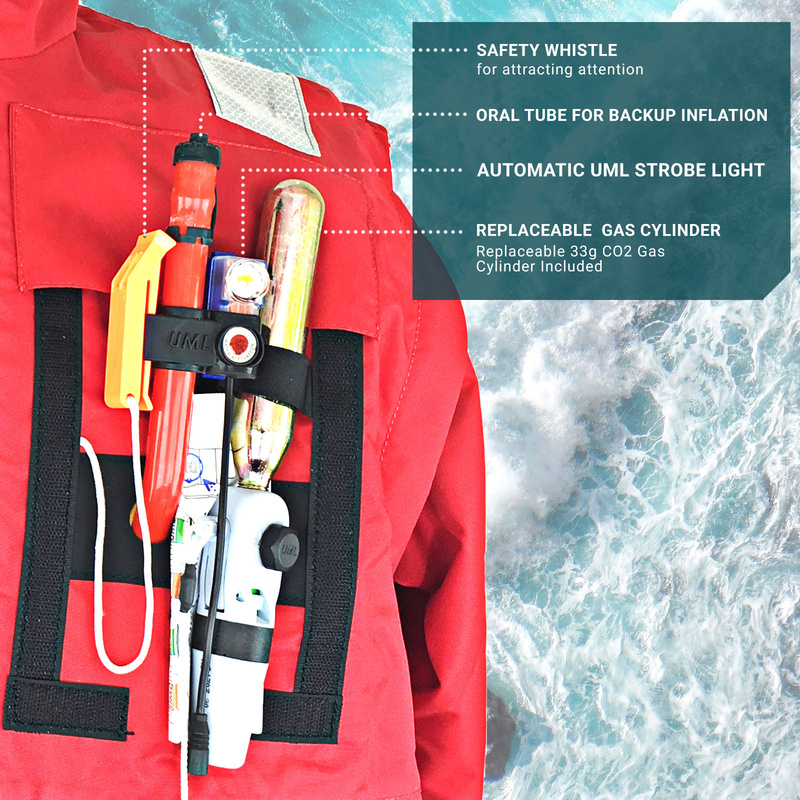 With a replaceable 33g CO² cylinder that provides 165 newtons of buoyancy, it also has the required backup manual inflation ripcord, just in case. These All Weather Jackets can be self serviced for the first two years, but it is highly recommended to have them professionally serviced by an authorised service agent on the 3rd year. 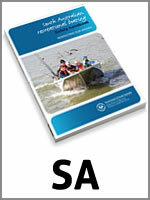 Servicing requirements begin from the date of purchase. 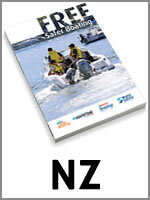 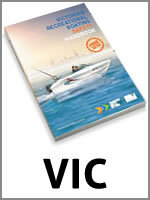 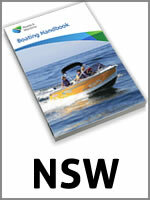 It's recommended to keep your invoice in a zip-lock bag and with your life jacket. 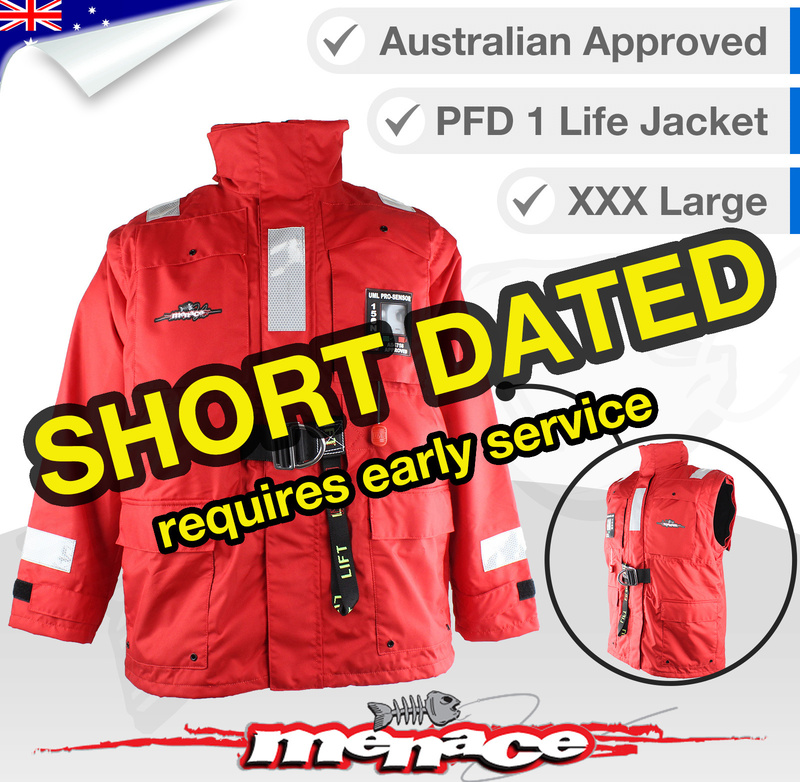 The first service is due 12 months after the purchase date. 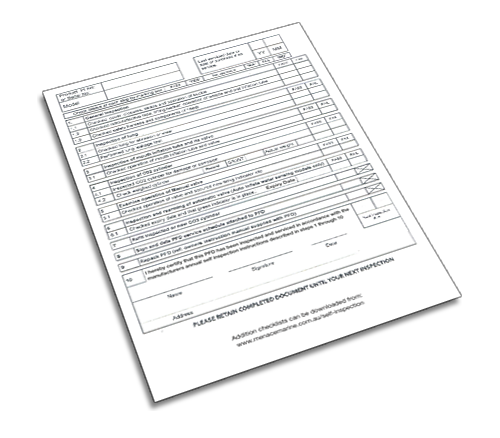 Here is a copy of the service manual & self-inspection checklist. 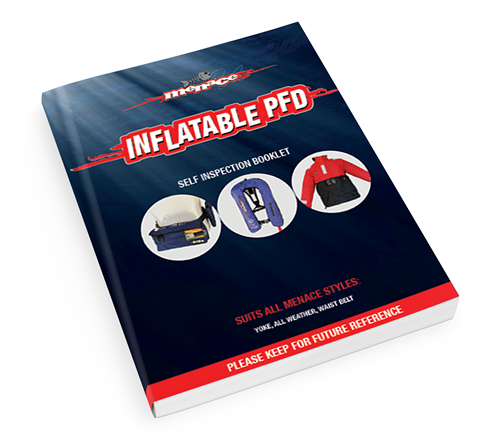 Download our PFD self-inspection booklet here. 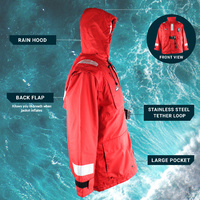 Looks like a great jacket - strong & very well made & seems very practical & good quality materials. 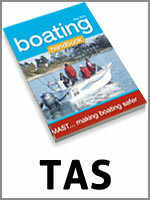 Haven't tried it out on the boat yet. 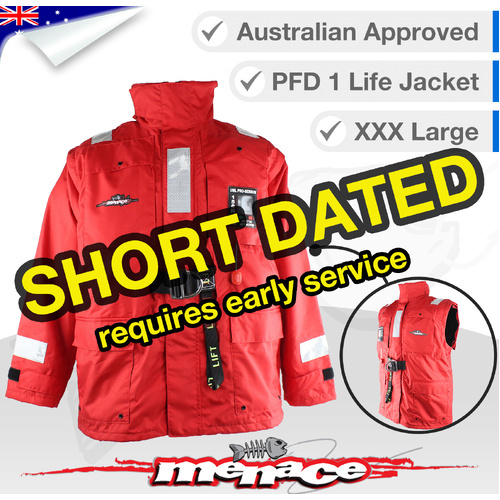 Great service from Menace Marine - only took a few days to receive the jacket in New Zealand. 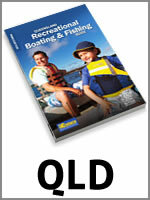 Will review again when have tried it out!